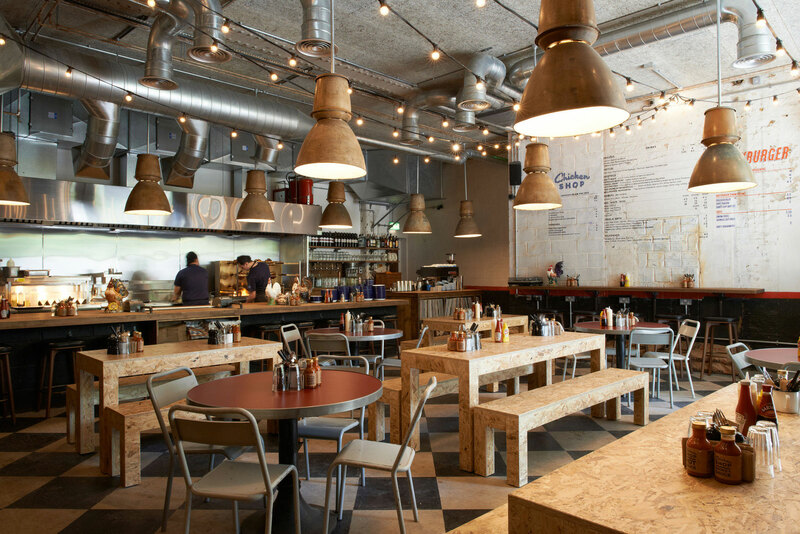 London-based Soho House commissioned Sprint to design and install commercial kitchens at Dirty Burger and Chicken Shop. Located in Kentish Town, Vauxhall and Whitechapel, Dirty Burger specialises in cheeseburgers and its special Breakfast Burger served with crinkle cut fries and onion rings. Chicken Shop, which has branches in Kentish Town, Tooting and Whitechapel, serves free-range birds from Norfolk, which are marinated overnight, steamed and cooked over charcoal on a rotisserie.